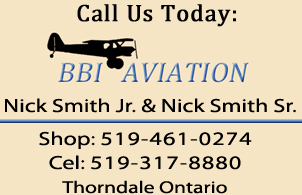 WELCOME TO BBI AVIATION - AIRCRAFT KITS, PARTS AND SERVICES. BBI IS OWNED BY MYSELF, NICK SMITH JR. AND MY DAD NICK SMITH SR.
WE BOTH HAVE EXTENSIVE METAL AND WELDING FABRICATION EXPERTISE. NICK SR. STARTED BUILDING AIRPLANES FROM SCRATCH IN THE EARLY 1970’S WHEN THERE REALLY WASN’T A KIT MARKET TO SPEAK OF. HE EVENTUALLY USED HIS EXTENSIVE BACKGROUND IN METAL FABRICATION AND WELDING TO DEVELOP AN AIRCRAFT PARTS BUISINESS. 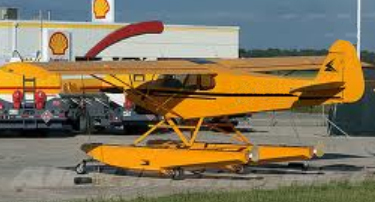 I JOINED THE BUSINESS AND WE WERE ABLE TO DEVELOP A COMPLETE SUPERCUB KIT. 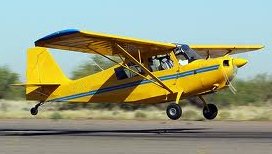 WE THEN ADDED THE WIDE BODY SUPERCUB, PA-12 SUPERCRUISER AND A 6 SEAT TUNDRA BOSS! WE HAVE SOLD OVER 120 PIPER STYLE KIT PLANES AND STARTED AN EPIC LINE OF AIRCRAFT THAT ALLOWS US TO KEEP ECONOMICS IN MIND. OUR EPIC AIRCRAFT LINE ALLOWS YOU TO PURCHASE THE KIT IN STAGES, DO MORE ASSEMBLY OF THE AIRCRAFT AND KEEPS THE COST LOWER. AS WELL AS OUR AIRCRAFT KITS, WE ALSO OFFER A LARGE ASSORTMENT OF PARTS AND SERVICES. WE LOOK FORWARD TO WORKING WITH YOU, CONTACT US ANYTIME, NICK SMITH JR.